Partners For Equity was established in 2015 to provide aid to communities (predominantly in developing countries) that are disadvantaged or in poverty. We enter into partnerships based on equality and mutual respect with non-government, community-based, local organisations to implement and sustain such aid. David, together with his wife, were the founders of the largest “bargain store” operator in Australia, with 115 retail stores, supply contracts with 5 major retail chains and over 3,000 employees. After the business was sold in July 2000 Dave joined the Board of the Acquiring Group (The Warehouse Limited), New Zealand’s largest retailer at that time. In 2002 Dave and Kerry began travelling to developing countries and assisting grass roots organisations providing health and education facilities for vulnerable children. Through 2005-6 many trips were made to visit women’s micro enterprise groups. By 2007 they were travelling overseas 10 times a year, visiting 2-3 countries per trip and over 100 various projects, employing many of the techniques used in their business life for building networks and assessing opportunity. By 2010 they had decided to commit most of their wealth and all of their time to efficient and cost effective programs to provide sustainable improvement in the lives of the severely disadvantaged in poor countries. Dave volunteers most of his time to the work of Partners For Equity and other international development work through his family’s private Foundation. Marcus Fazio is a business and strategic consultant with a background in investment banking in Australia and overseas. Since leaving investment banking Marcus has advised companies, organizations and individuals in respect of strategy, transactions, social impact and philanthropy. Marcus has been a Trustee of the Planet Wheeler Foundation since its inception in 2008. As a trustee and advisor, he wants to maximise the benefits of donations in alleviating poverty in developing countries over the long term by supporting well targeted, sustainable projects. Marcus has visited Planet Wheeler projects in East and West Africa and South East Asia. Marcus is also interested in social impact investment and provides advice to Small Giants, a company which has invested in local and international projects focused on creating a more socially equitable and environmentally sustainable world. Marcus is a director of Fitted for Work, a not for profit committed to assisting disadvantaged women find work. He is a director of Text Publishing (book publisher), Chemical Media (independent TV production) and a medical equipment distributor in Japan. He is a graduate of the Australia Institute of Company Directors’ course. Marcus volunteers a substantial amount of his time for the work of Partners For Equity. 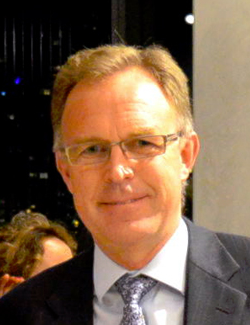 Mark resigned as Managing Director, Australian Equities at Merrill Lynch Equities after 15 years’ service and entered the not for profit world in 2003. He volunteered at The Smith Family for three years and served on the boards of Good Beginnings Australia and Beacon Foundation. In 2005 he, and his wife Amanda, established Cubit Family Foundation, initially with a focus on support of the education sector but now more broadly focused on offshore projects. In 2008 he assisted Maureen and Tony Wheeler in the establishment of Planet Wheeler Foundation and has served as a trustee to this day. Mark now spends six to eight weeks a year visiting projects offshore projects for both his family’s foundation and Planet Wheeler Foundation. 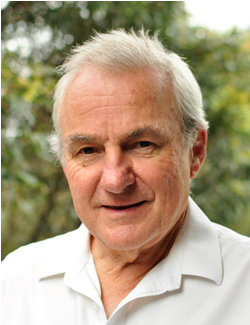 In 2008 Mark helped form the board of The East African Fund (EAF), the Australian support arm of The School of St Jude Tanzania. Today he is chair of that board and a member of the Tanzanian board of The School of St Jude. 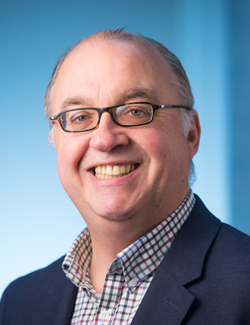 Mark has been a member of Monash University Council since 2014, along with membership of the University’s Resources and Finance Committee and chair of the Investment Advisory Committee. Mark volunteers a substantial amount of his time for the work of Partners For Equity. Linda worked with the Directors of PFE to establish the organisation, and she is now responsible for its governance and administration. 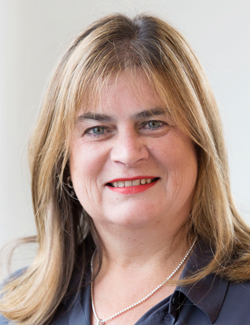 Prior to the establishment of PFE, Linda worked for 14 years (since its inception) for fund manager, Cooper Investors Pty Limited, as General Counsel and Company Secretary, with overall responsibility for legal, compliance and risk management functions. Linda established the Cooper Investors Philanthropy Fund in 2008 and was responsible for the administration of grants, as well as Chair of the grant-making Committee. Together with the Ryan Cooper Family Foundation (the family PAF of Peter Cooper), the two organisations made grants in excess of $4.5 million over 7 years to more than 50 NGOs in Australia and overseas. Linda personally visited a significant number of the overseas projects. Prior to Cooper Investors, Linda had over 12 years’ experience as a commercial and finance lawyer at Allens and Freehills, both in Sydney, and Herbert Smith in London. She has a BA/LLB from the University of New South Wales and a Diploma in International Law from the University of Vienna.